Who said you “must” spend a penny to get high quality entertainment? Don’t you know that the best things in life are free? Movie streaming services like Hulu, Crackle, HBO and Amazon Prime Video may seem to be a brilliant way to find and enjoy new movies, but what if you have no reliable Wi-Fi? You do risk being hit with huge data charges. Imagine a scenario where you are underground in a tunnel or the zombie apocalypse has commenced and you are without any movie to watch offline. This is apparently why you need a great movie downloader to help you download TV Shows and Movies with ease. So without further ado, here are the best free movie downloader. For the ease of use, personalization and enjoyment, the Netflix app provides the best value among other movie downloader. Since its inception in 1997, Netflix has grown to become the most successful subscription service for watching TV shows and movies. The Netflix app delivers the best experience one could ever wish for, bringing enormous library of exclusive and original contents, an easy-to-use interface with numerous features including watching movies in super HD quality. Thankfully, the Netflix mobile app now lets you download movies and TV shows so you can watch offline when there’s no internet connection. So it’s arguably one of the best movie downloader out there. Next up, we have Show Box. One of the most popular movie downloader that brings its own uniqueness, allowing users to view recent news, access music charts and watch movie trailers with ease. Show Box is an app that lets you download and stream tons of movies and TV shows for free. It offers a colossal amount of contents alongside an intuitive, classic and simple interface. When you find a movie or an episode that interests you within Show Box, you can choose either to download or stream it in 480p, 720p or 1080p quality. Showbox also allows users to upload movie subtitles provided they’ve an OpenSubtitles account. It’s really a cheery on top movie downloader. MegaBox HD is a movie downloader with valour. It’s undoubtedly one of the best free movie download app for Android, designed to let users stream and download movies, TV shows, cartoons and anime with ease. MegaBox HD brings an updated library of contents, and you will get to find currently airing shows and the most recent movies. One of MegaBox HD unique feature is its “Custom” download, users can easily use third-party browsers such as ADM, Chrome etc. to download movies from the app. Of course you can also stream movies within MegaBox HD and even choose your desired resolution. Popcorn Time is another movie downloader based entirely on torrents. It’s regarded as a free alternative to subscription-based video streaming services like Netflix. Popcorn time features the latest movies, TV shows, anime and cartoons. These medias can be searched and ‘browsed’ by categories or genres. Users can also stream or download from the app comfortably. Just like Netflix, Popcorn time exhibits nice DVD covers and a great looking interface. But it gets most of its contents from torrent sites. When a user tries to stream a movie on Popcorn time, the app will start to download the film via a BitTorrent protocol and once this is done, it will also share the movie to other users. CinemaBox HD is another excellent movie downloader that allows users to download or stream loads of videos effortlessly. The app has the biggest library of movies, TV shows, cartoons and anime. For one thing, CinemaBox offers support for Chromecast. Users can easily filter each section by genre and view the newest and hottest TV shows. Aside from this, CinemaBox is fast and works flawlessly. 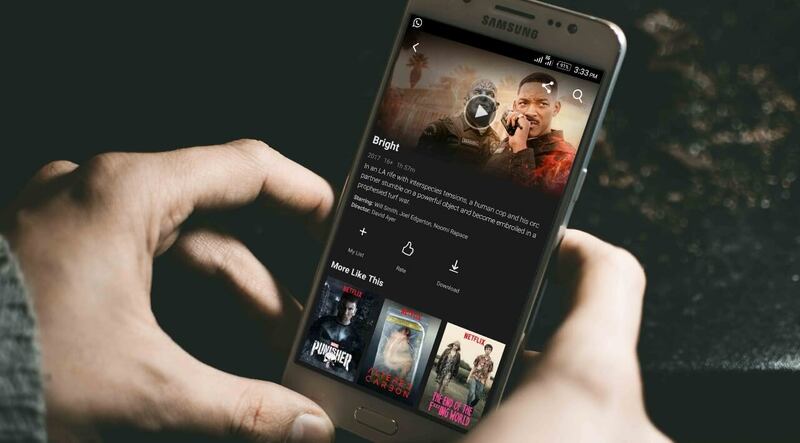 Once you have a good and stable internet connection, you can comfortably stream or download movies within the app. There’s also an option to add subtitles to movies, notwithstanding the language. All these can be done with minimal fuss. Terrarium is a great movie downloader that offers an extensive catalog and allows users to stream contents in high definition. The app’s interface is quite elegant, and you can use the search icon to look up for any of your favourite series. Similar to other movie downloaders, terrarium TV lets you stream and download movies or TV shows to your local drive for offline viewing. Users will get to discover the most popular, trending and top rated movies which can be filtered by genres. Terrarium TV Settings menu unveils an option to choose a language for subtitles, you can even open the profile of a TV show, choose a season, select an episode and start watching. Movie HD Lite is one of the most popular movie downloader that’s quite similar to MegaBox HD. The app comes with a little bit of modification that makes it unique. Just like its mates, Movie HD Lite basically lets you stream and download movies and TV shows. There are two versions of em, there’s the Movie HD and Movie HD Lite. Both are similar in terms of design but differs greatly in function. The normal version does not allow you to download movies or TV shows, only streaming and this requires a vkplayer. MovieHD Lite on the other hand allows you to download movies and TV shows for free. It also brings support for custom download with is apparently what we need. Hehe; yeah I know, quite the generic name it has, but don’t be deceived, this is one of the best movie downloader you’d ever wish for. Newest Movies HD is a great app that can be used to stream and download Movies, TV Shows and Cartoons. The app itself has a sleek UI design and offers users the ability to create and add movies to watchlist. You can even request for any movie or TV shows and it willl be uploaded instantly. Newest Movies HD brings a huge library of contents and users will be able to discover the most popular, new and recently released movies and TV shows which can be streamed or downloaded in any preferred quality. Also Read: Best Movie Steaming Apps for Android and PC. There are a lot of apps that claims to be the best movie downloader, but truthfully, they can only let you stream movies without an option to download them. Having vetted the internet, we came up with these apps. They are free, fast and has little or no annoying ads. They work perfectly well and overall, they’re the best movie downloader on the planet.